Sorry, but I am suspending my editing services until further notice as I am resuming full-time work as a journalist. Do you need a skilful wordsmith, a meticulous editor, or a good researcher? On this website you can read some of my publications, check out my CV, and decide if I can be of assistance to you. Why a holiday in Turkey? Before going there, I could not have answered that question; in fact, I probably could not have even accurately picked the country’s location on a world map. 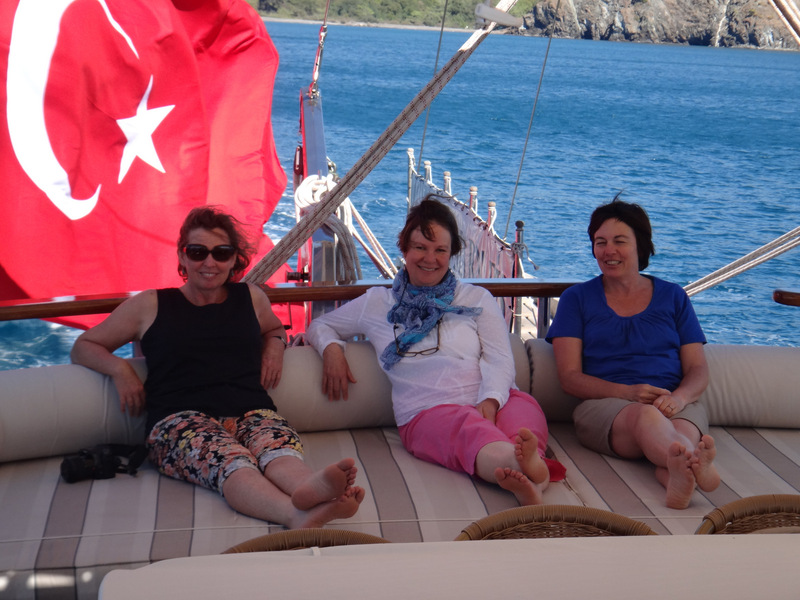 It was Libby’s idea to gather a small group of women friends, all freshly released from child-rearing and HSC-overseeing responsibilities, and to cruise along the Turkish Mediterranean in a gulet, a traditional wooden sailing boat. Sun, sea and sailing along a shoreline dotted with the ruins of ancient civilizations. And the boat comes complete with crew and cook, she said. Seven of us, all connected in some way to the rural university town of Armidale in northern NSW, were to converge on Marmaris in late September for a week-long walk/sail cruise with Meridian Travels and Yachting. I decided to go earlier, and celebrate my 50th birthday in Istanbul with my husband Chris. What follows are the snippets from a holiday we adored, in a place we hardly knew before we went there.